High school student Kei Kurono meets up with childhood friend Kato Masaru one day by chance encounter. As the two are in the subway chatting, Kato notices a homeless man on the subway train tracks. Kato goes down on to the tracks to move the man off the tracks and persuades Kei to help. But soon after helping the man, they are hit by a subway train and killed... or maybe not. Immediately after being hit by the train, the two are suddenly in an apartment from which they can't leave, along with some other people who were also in some near death experience. In this apartment there is also a black sphere called Gantz. Kei and the others have to obey Gantz's rules if they want to live. They have to participate in missions in which the objective is to eliminate aliens. But who or what are these aliens? are Kei, Kato and the others alive or dead? A group of people are resurrected from their deaths by a mysterious black ball called GANTZ to combat alien criminals hiding on Earth. Fan service... strikes again. Not as bad as Witch Blade, but bad enough. This is an excellent anime. Original story and that is very hard to do. Love the artwork, editing, music, especially the opening song... I love just about everything about this anime except for the gratuitous fan service. It's shown often and in scenes where it is completely unnecessary. Huge boobed teens oozing into skintight suits and shown completely naked. The only girl in the first half is, of course, only there for the fan service. They don't really give her much of a personality. She is in love with another character and seems to only exist for him. Why? Isn't the anime industry aware that their audience has long ago expanded from teen boys and socially inept men? Just tell a damn good story, with great artwork, voicing, etc. and leave the fan service to a minimum. Seriously. Oh wait... pardon me. I take it back. I forgot who makes these things. Inspired by teen boys and made by socially inept men. Sometimes they get past the fan service and actually come up with a great series. Gantz is one of them. Gantz, a wonderful anime which uncovers new great places in Horror and Sci-Fi to thrive in respectively. I highly recommend you watch it, or rather read the Japanese book version, too get your own personal feel of it. I say this because I imagine everyone will get a TOTALLY different view of this. Why? Because it's based mostly on 'morality' and how long can you cope before you smash your TV. I found myself getting so angry because of all the standing around. What could have been a solid 10/10 or at least 9.5/10, is wasted on the anime not (to put it simply) cutting the sh*t. A lot of the episodes feel like around 50% filler to reveal certain information like the targets, deaths, dangers etc. I felt like putting all the episodes into some program and cutting them down so it would redeem itself. The slow nature of Gantz does occasionally suit its storyline, for example; to raise tension, to raise panic, and to calm the storm. But most of the time, it's agonising. Don't let this give you the impression that it's a badly put together anime, that just is it's weak point. The characters are spot on, although some are annoying they are thankfully minor characters who die quickly. Kei and Kato are from the get go, believable and great characters, showing a full range of problems and individual characterisation. Kei's obsession with large breasts adds a realistic touch to the anime but not so much that it is the main focus, showing that he IS a real human being, even after seemingly getting his head ripped off. Kato's caring nature and violent out-spurts show the struggle to try and keep control over everything precious to him. Another problem I found with Gantz was that it partially felt like it didn't care for it's viewers too much. Nishi, was an interesting rival (or so I think) and character to manipulate and carry the story along. But the anime seems to be like bad side of 'Game of Thrones', they killed off nearly all of the likable or interesting characters early on, almost to the point of me not caring who lives or dies. 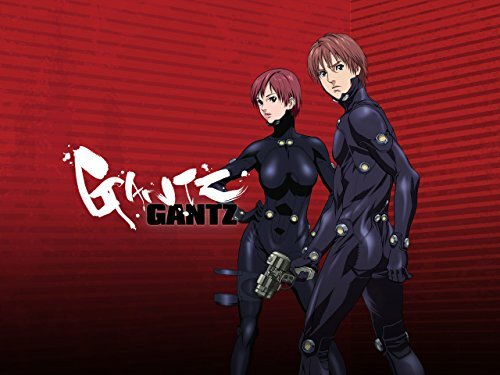 Again, don't get me wrong Gantz's story and setting is unique, how people can be so harsh and oblivious, it raises many philosophical questions, such as; 'Kill or be killed', that other anime's or Japanese book version's are afraid to stutter. The dark and gritty side to Gantz is arguably the greatest parts, and at times it failed to recognise that the focus is not so much paranoia but the 'thrilling' atmosphere, that no one knows about. I could sing it's praises all day, but it just misses occasionally. 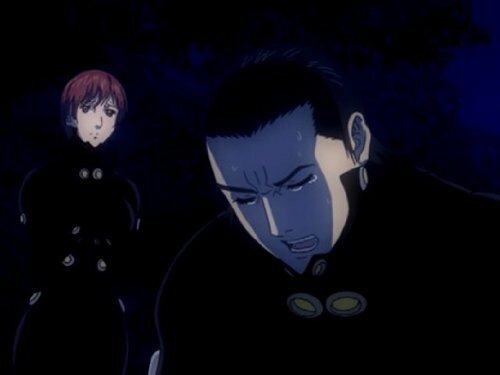 Especially the ending which turned into Gantz realising it's number of episodes was running out and rushing everything, to the point where Gantz killed itself. So, if it weren't for the grey alien inside the Gantz awakening, this would be most definitely a solid 9/10 with a bit more correcting. But otherwise, 8/10.